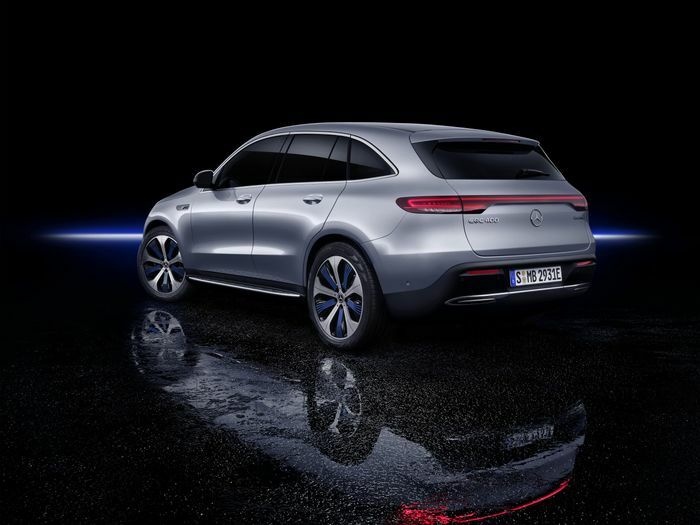 Here it is, the first in what’s in expected to be a long line of all-electric vehicles from Mercedes-Benz. It’s called the EQC, and it’s part of a €10 billion EV investment programme at Stuttgart. It’s a significant car, then, but when Joe Public spots it trundling down the road in silence when first deliveries kick off in 2019, they aren’t likely to spot it. The styling is just a big safe, isn’t it? Rather like a GLC that’s been out in the sun too long and melted a little. Compared to the Jaguar I-Pace with its angular and futuristic looks and the Tesla Model X that packs those party-trick Falcon-X doors, it’s a thoroughly ordinary affair. 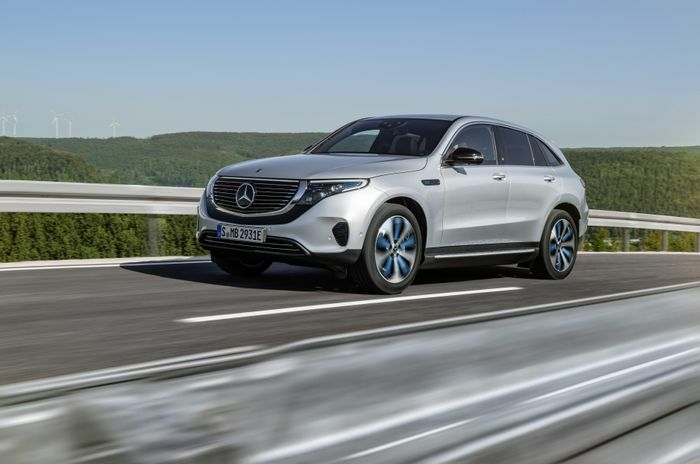 But then that’s probably the point - Mercedes clearly doesn’t want to scare anyone off taking the already daunting switch to electric power with quirky ‘LOOK AT ME, I’M AN EV!’ styling. In any case, what it lacks in exterior design flair, it makes up for in practicality. It’s longer than a GLC and without the packaging concerns related to internal combustion engines, it should be cavernous inside. It has a 500-litre boot, too. It has two electric motors - one on the front axle and one at the rear - giving a combined output of 402bhp and 564lb ft. A smidge more than the Jaguar, but at 2425kg it’s nearly 300kg heavier. It’s still reasonably quick though, managing the 0-62mph sprint in 5.1 seconds. More weight inevitably means the range isn’t quite so good - it’ll do 280 miles according to the soon-to-be-defunct NEDC cycle, while according to the more realistic WLTP test it’s 249. The I-Pace will do 292 WLTP miles and 310 according to NEDC, and Tesla Model X 75D can manage 251, although that’d NEDC - there’s no WLTP figure yet. That’s more than enough acronyms for one day, so let’s take a look at charging. Mercedes has fitted the car with a water-cooled onboard charger with a 7.4kW capacity, which can be used with a normal plug socket at home. 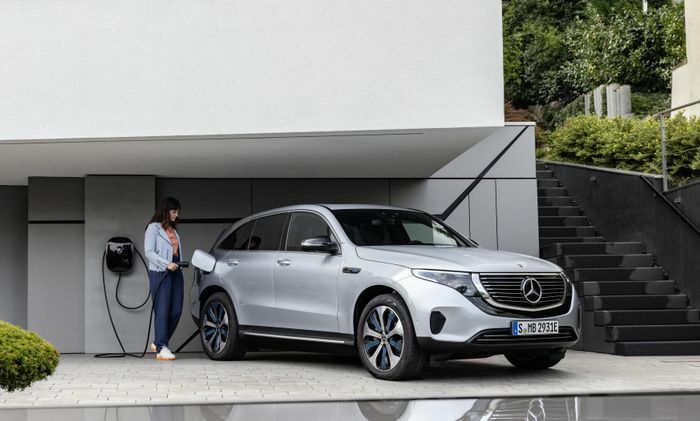 Fit the Mercedes-Benz Wallbox, and the charging time is cut down to a third, although estimated times haven’t been given for either method. If you can find a 110kW charger - which right now isn’t all that easy - you can charge the EQC’s battery pack from 10 - 80 per cent in 40 minutes. In the cabin, that feeling of playing it safe continues - there’s not a whole lot in there you won’t recognise from existing Mercedes products. That side, the cutaway section in the dash with its snazzy light strips is a nice look. 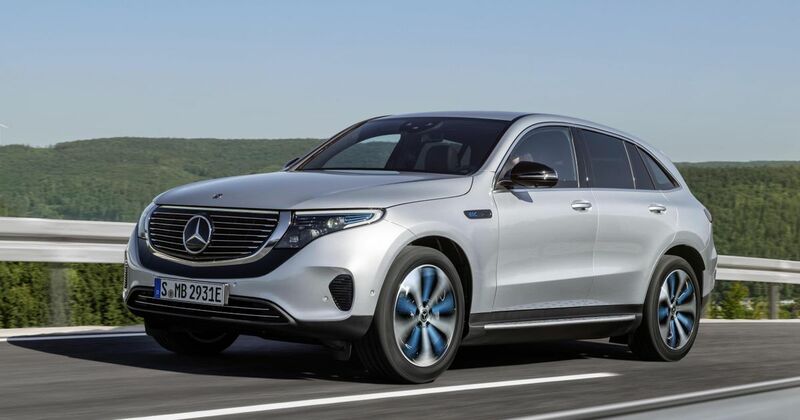 Production of the car will start next year at the Mercedes plant in Bremen.